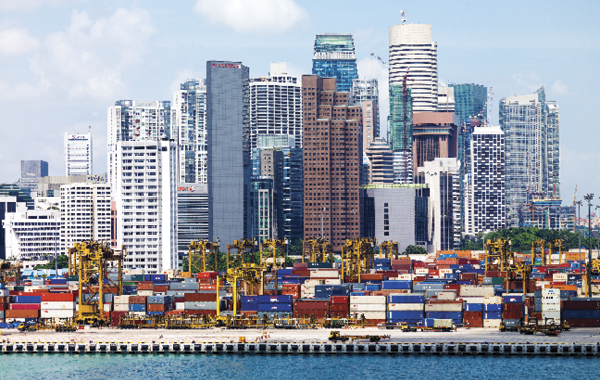 As Europe's economy copes with a sweeping debt crisis, and its Asian trade partners absorb the impact of declining exports and rising inflation, Southeast Asia is quickly becoming a center of attention—and transportation and logistics investment. Malaysia, for example, is looking to become a key transportation and logistics hub for the Association of Southeast Asian Nations (ASEAN). Sharing borders with Brunei, Indonesia, Singapore, and Thailand, the country's unique location on both the Asian mainland and the Malay Archipelago is favorable to new investment and growth. Malaysia's government is planning to develop a global logistics hub—with four integrated logistics centers—in the Iskandar Malaysia development region located along the busy Straits of Malacca trade. In 2012, Malaysia's trade with ASEAN amounted to $115.9 billion—or 27.3 percent of the country's external trade—with room for more growth. In an effort to stimulate intra-Asia trade development, the ASEAN Economic Community (AEC) plans to remove restrictions for logistics services by 2013, and allow other member countries to assume up to 70 percent equity participation in these services.